True talk: this outfit is three week old... I know, no kidding, right? As if you couldn't already tell from the glaringly obvious pre-holiday vibe reeking from every inch. It was the pearls that gave it away, wasn't it? Look, I get it... I'm ashamed and I'm totally willing to pretend it's straight off the rack of my closest if you are. If you can't, I completely understand, which is why I have scoured the internet for suitable distractions. Behold the collection of must-have midi's below. 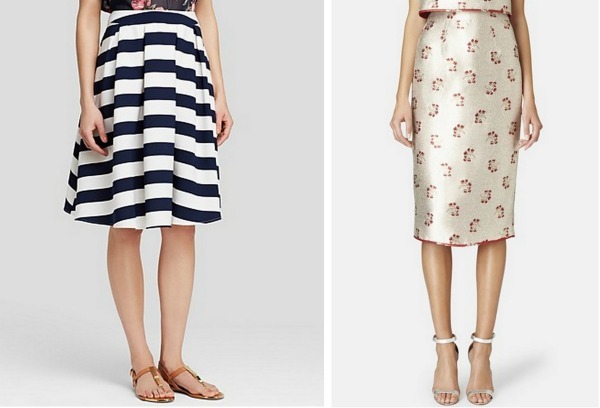 :) I'm torn between the Jacquard Midi and the Sidewalk Floral. Which do you think I should splurge on first? You look beautiful in this outfit! 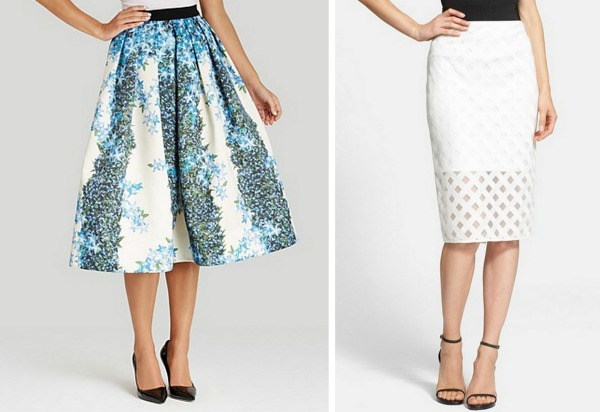 I like the first two midi skirts that you've recommended in this post. Love your choices. 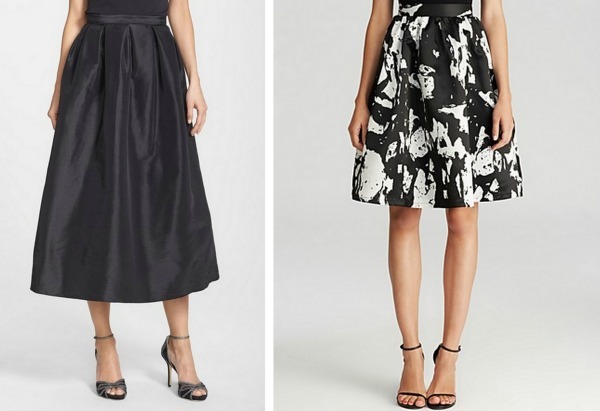 . . especially the black tafetta and satin skirts are calling out to me! You look so pretty! Love all the skirt options! I loooove midi skirts too! I am eyeing the lattice mesh and the satin floral! Love this look - it is so perfect for winter! I am loving the midi skirt trend. I'm on the hunt for a perfect plaid one....to be continued! :) You look great! I love them all, but I especially love the first outfit! I love the details! Love, love, love the midi skirts! The shape is so flattering! I would go with sidewalk floral midi...sooo feminine and flattering! So in love with that scarf! It's on my must-have list for next fall. I love your look! The colour of your skirt is perfect. I love midis especially for work! They are so much more comfortable and you don't have to be concerned about a fashion mishap! Oh I love this! That skirt and the scarf are stunning. Agreed. It was the pumps that gave it away for me too. Still love the outfit though. Love your red skirt! It is so perfect!! 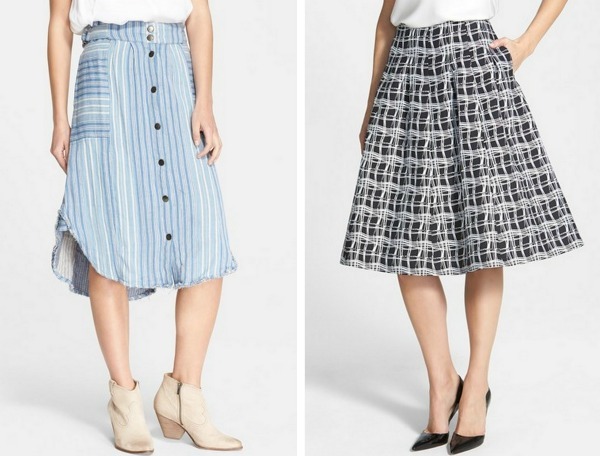 I have such an attraction to midi skirts because they're great for work and I saw so many cute ones I loved in this post. You can never go wrong with a good midi! Love this look on you!! It's such a pretty winter look. Where is your bow bracelet from? I have to have that. I love this red midi on you Anna - so pretty! Absolutely love all of them, but that sidewalk floral is stunning!! Your outfit is adorable! Love the satin floral midi! The last two skirts are my favorites. Great finds. You look adorable! Lovely skirt and I like this midi length! Colors are wonderful and beautiful bracelets you're wearing! Great Look. I love the red Skirt. Looks faboules on you ❤️ Perfect match my dear. Love midis! These styles are gorgeous. This red midi is super cute! 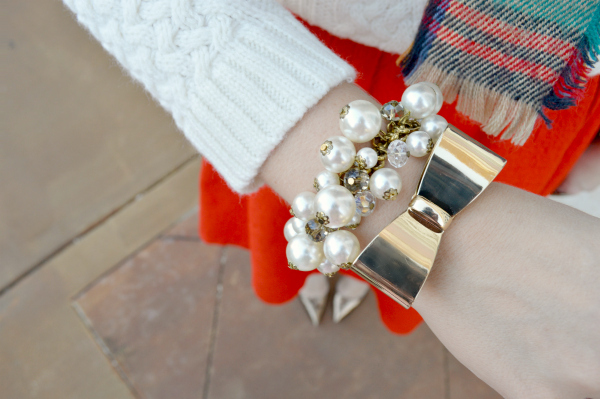 I'd love it if you checked out my blog to see how I wore mine! you must have a gorgeous wardbore. love these cute jewelry you are wearing! You have a great thanks for this stunning post . Looking gorgeous , thanks .